Type 2 diabetes is a common health problem that has been linked to inactivity and being overweight. It’s a serious condition and a chronic one that lasts for the rest of your life. If you are diagnosed as suffering from diabetes you will need to adjust your diet and exercise levels. You may also be required to take medication. It’s important that you take action to manage type 2 diabetes as it can cause problems with various parts of your body, including your eyes and your kidneys. A random blood sugar test. A fasting blood sugar test. An oral glucose tolerance test. If you are diagnosed as suffering from type 2 diabetes, you need to start dealing with the problem. Your doctor will arrange to see you on a regular basis, to take samples of your blood and urine. Your feet and eyes will also be checked regularly. You will also need to purchase diabetes supplies, so that you can monitor your condition on an ongoing basis. Treatment for type 2 diabetes varies, depending on the patient and how advanced the condition is. If you have received a diagnosis, you may be advised to make changes to your diet, to exercise regularly or to take medication. In many cases, a combination of treatment is prescribed. If you stick to the treatment, complications should be delayed or prevented altogether. You should speak to a dietician who can help you create a diet that works for you. Generally, you will need to eat food that is high in fiber and low in fat. You will also need to reduce your intake of refined carbohydrates and candy. You may be advised to take a look at the glycemic index as foods that are low on the index tend to be the better option. The eventual aim should be to take at least thirty minutes of aerobic exercise five times a week. However, you should always discuss your exercise plan with your doctor before you start. Remember that you need to stretch and warm-up before exercise and stretch and warm-down after. For some people who are diagnosed with type 2 diabetes, medication is prescribed. Metformin is often the first drug that is prescribed; it helps the body to use insulin more effectively. This medication is often used in conjunction with lifestyle changes to manage type 2 diabetes. If this treatment does not work, other medications, such as sulfonylureas and meglitinides, may be used. 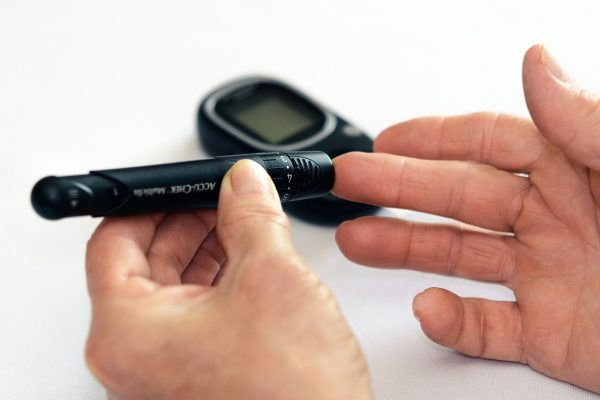 Insulin therapy used to be used as a last resort for treating type 2 diabetes but it has since been recognised to have several potential benefits and is often used as an earlier treatment option. If you are diagnosed with type 2 diabetes, your doctor will discuss treatment options with you, and prescribe the best course of action for managing the condition.